up to 30% on Muscle Milk favorites + Free shipping at Amazon Prime. 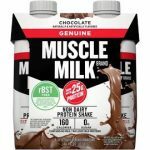 The price for the Muscle Milk 100% Whey Protein Powder, Chocolate, (5LB) drops from $49 to $33.25 + free shipping at Amazon Prime. This is the lowest price we saw. 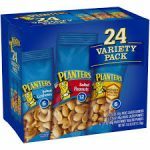 The price on the Planters Salted Peanuts – 48 Pack, drop to $7.44 shipped with Amazon Prime (add on item). You can grab 4 boxes for free shipping. Reviewers rated it a 4 out of 5 star.